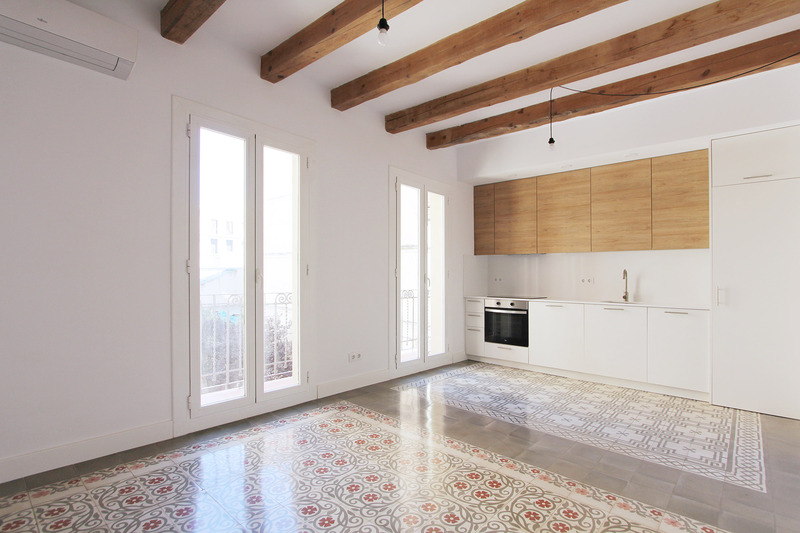 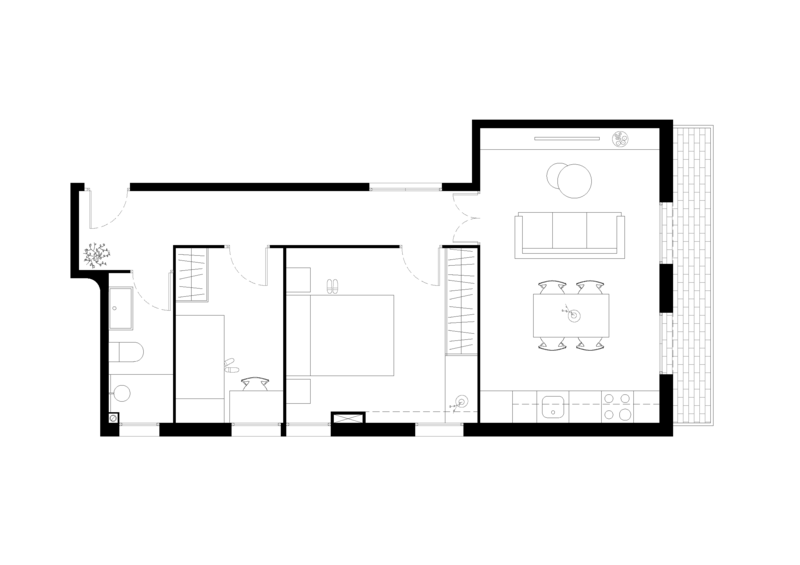 In the popular neighborhood of Vil·la de Gràcia we find this fantastic corner unit, south-east orientation and totally exterior, in a regal estate structured with wooden beams and load walls in a perfect state of conservation. 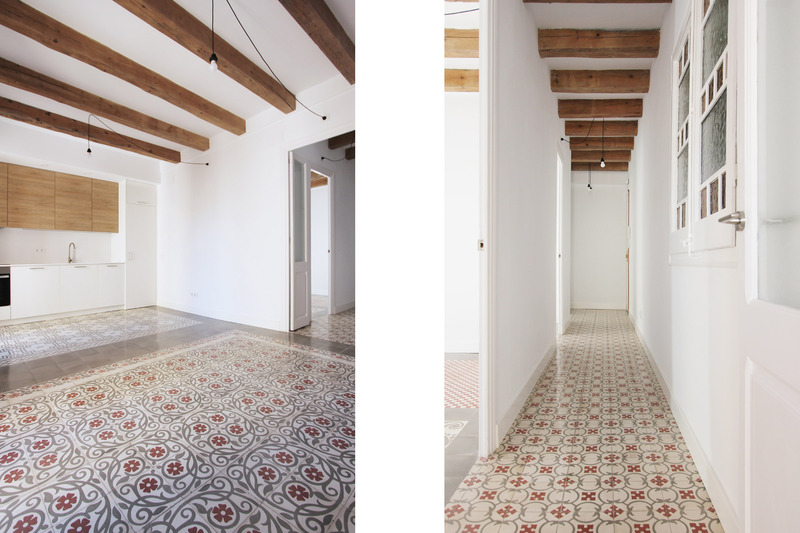 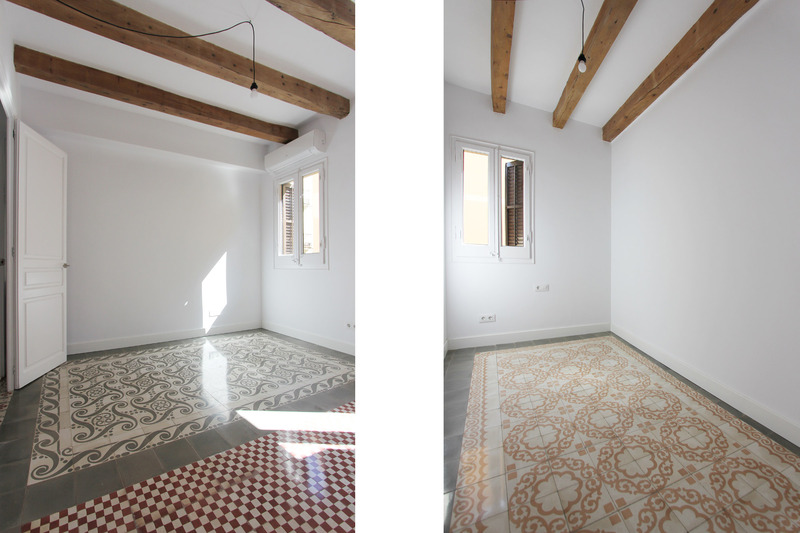 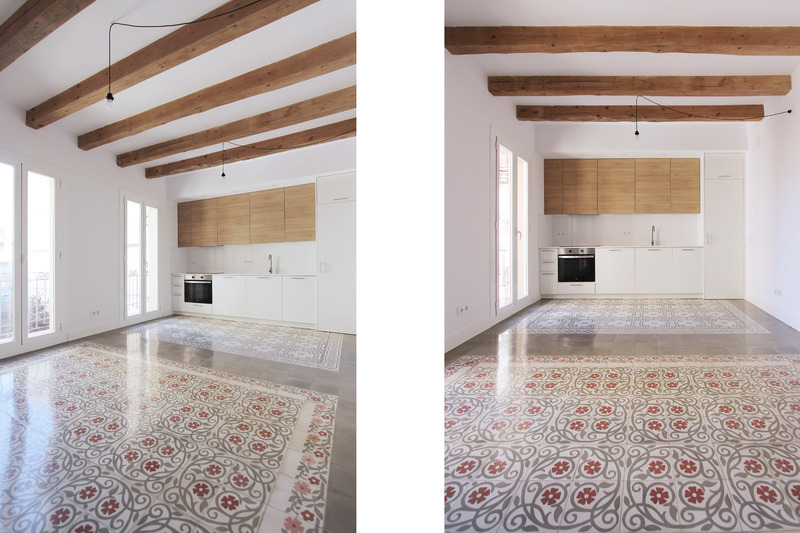 With this background, and following our philosophy of maintaining the greatest number of original architectural elements in combination with new materials, we decided to recover the hydraulic floors throughout the property. 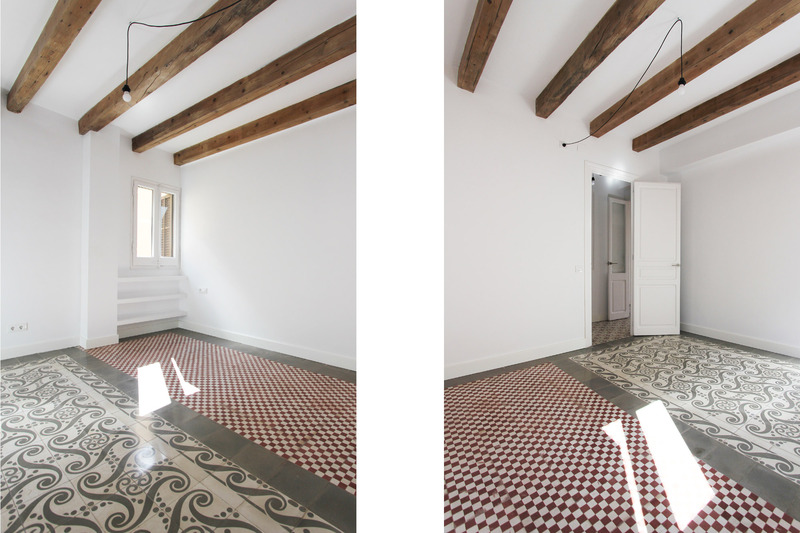 Due to the selective modification of the interior distribution to provide greater functionality and adapt it to the needs and requirements of the project, we had to carry out the work of finding pavements to complete the existing mosaics, a task that in view of the result has been very worthwhile. 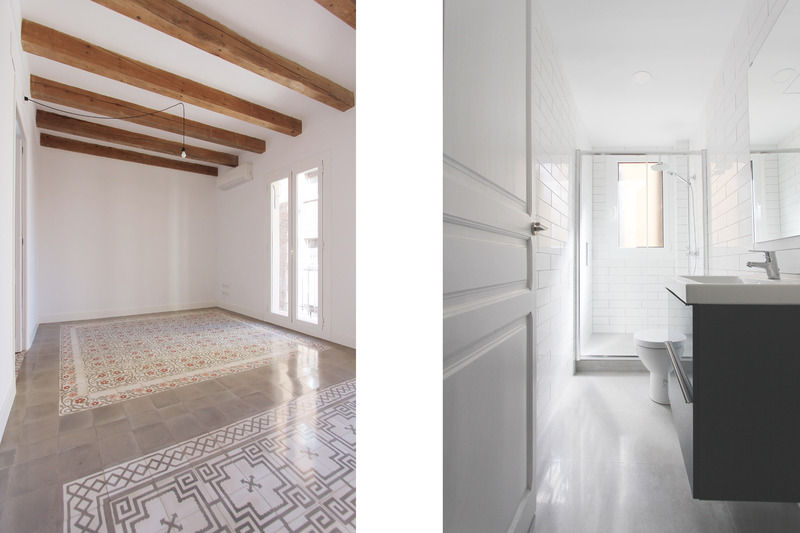 The updating of other elements of interest such as doors, modernized windows with double glass installation and inner tubing, restoration of portions, fully functional and the recovery of the structure view of wood have been other key points for this project.